Here is a pioneering volume that explores adolescent homosexuality around the world. Social scientists examine the personal experiences of gay and lesbian teenagers from culture to culture and address the problems and obstacles these young people face. The changing contexts, values, and goals of societies worldwide are affecting how these adolescents adapt to being homosexual, and this compelling book gives keen insight into how changes in the United States contrast with changes elsewhere. 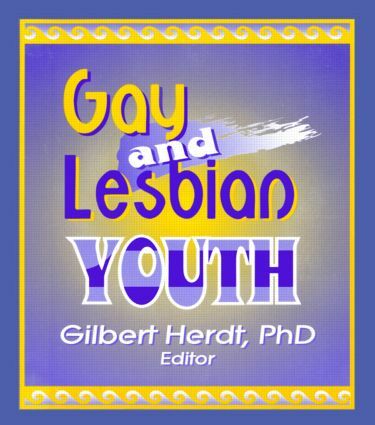 A unique and thorough description of the identities, situations, and relationships of homosexual teens in many societies, Gay and Lesbian Youth will help social scientists, health care professionals, counselors, gay teenagers, and their parents to better understand the similarities of the problems facing these youth, while recognizing the minor differences in their social and personal situations. How do the personal experiences of gay and lesbian teenagers vary from culture to culture? Here is the best, most complete description of the identities, situations, and relationships of homosexual teens in many societies. The changing contexts, values, and goals of societies worldwide are affecting how these adolescents adapt to being homosexual, and this compelling book gives keen insight into how changes in the United States contrast with changes elsewhere. Social scientists, health care professionals, counselors, gay teenagers, and their parents will better understand the similarities of the problems facing these youth, while recognizing the minor differences in their social and personal situations. These differences must be understood by interpreting the adaptations of gay and bisexual teenagers around the world.